I was approached my Willis Newson, the UK’s leading arts and health consultancy to produce illustrations for the new Woolverstone Macmillan Centre at Ipswich Hospital. The illustrations were to be used as wall decals and printed on mobile privacy screens. It was an open brief to create designs that echoed the themes, heathland, countryside and coastal. 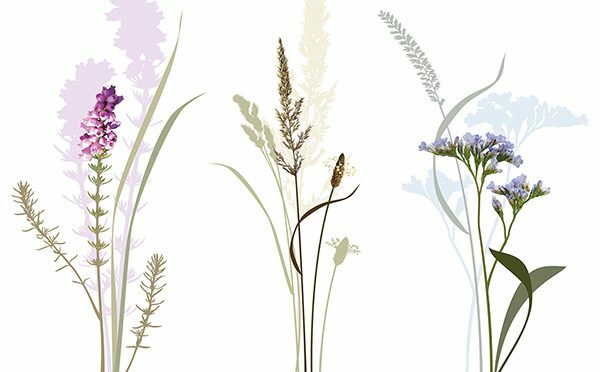 I chose wildflowers to represent each theme: heather, wild grass and sea lavender. Here are 3 examples from the final 8 designs.